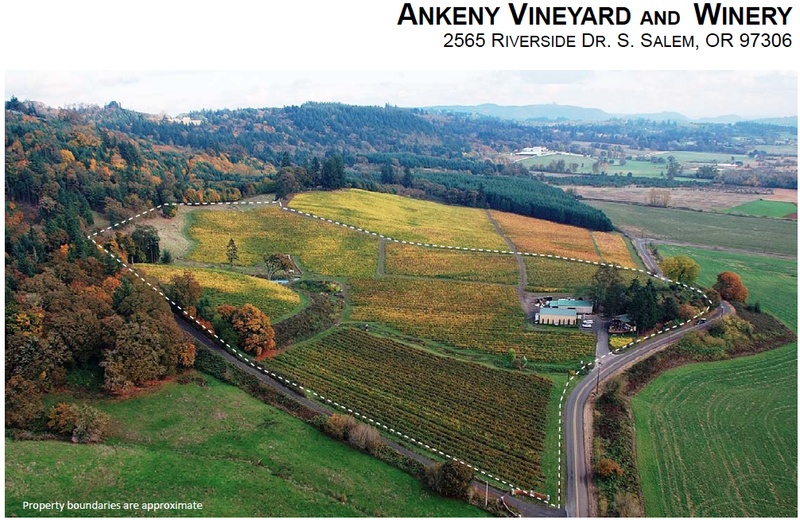 Located in the heart of Eola-Amity Hills AVA wine country northwest of Salem, this amazing vineyard property offers stunning views of the vineyard, Willamette Valley and Cascade Range. The 1975-built custom home and separate shop with elevated bonus space sit on the upper reaches of the lot, which slopes gently to the south. This impeccably maintained vineyard is approximately 4.25 acres; 3.25 acres are Pinot Noir (pommard and 115 clones), the remaining 1 acre is Tempranillo 2. The entire vineyard was replanted on grafted phylloxera-resistant root stock from 2007-2010. The vineyard slopes gently to the south with elevations ranging from 285-310 ft. The fruit from the vineyard is highly sought-after and has gone on to make award-winning premium wines. Redgate winery was awarded a Double-Gold medal for their 2015 Tempranillo from the San Fransisco Chronicle and Stangeland Winery was awarded a Double-Gold medal at the Oregon Wine Awards for the 2012 Pinot Noir (pommard clone). Grape buyers have submitted letters of intent to purchase the crop for 2018. The home opens into a light and bright formal living room, featuring floor-to-ceiling windows, a vaulted ceiling with cased beams and a wood-burning fireplace flanked by built-ins. The formal dining area is seamlessly incorporated and enjoys a sliding glass door, which opens to the back patio. The updated kitchen is ready to serve, with quality appliances included, granite counter tops and slate flooring. Warmed by a brick accent wall and fireplace, the family room is sure to please. A convenient half bath is adjacent to the kitchen and family room as is the entrance to the 2-car attached garage. Two large bedrooms with generous closet space, an updated full bath with jetted tub and oversized laundry room (W/D included) round out the main level. Upstairs, the stunning master suite takes full advantage of the views with a wall of windows overlooking the vineyard, high vaulted ceiling and transom windows. The master also has a large walk-in closet and en-suite full bath. Don’t miss the detached shop with tile roof and bonus space above. Available separately is appropriate vineyard equipment, including tractor, ATV, flail mower, sprayer, totes and more; this a true turn key-opportunity for the aspiring vineyard owner.